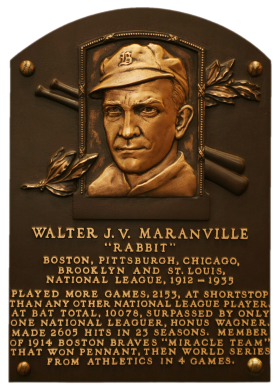 A top defensive shortstop and consummate showman, Rabbit Maranville was the kind of player that did the little things, on and off the field, to make his team better. A superior fielder, he ranks first among all shortstops in putouts (5,139). "Rabbit" collected 2,605 hits and scored 1,255 runs in 23 NL seasons. Comments: I first picked the 1933 Goudey issue for Maranville. He gazed back at you. In March, 2002 I won an eBay auction for a PSA 3 example. I upgraded to a PSA 5 in May, 2003 and a PSA 6 in November, 2004. In June, 2004 I had purchased a 1926 Spalding Champions PSA 9 of Dave Bancroft followed by a 1916 D381 Fleischmann Bakery SGC 40 card purchased in December, 2004 from David Bryan. You may ask - why are the Bancroft purchases relevant to Maranville? Well, I liked the '26 Spalding but loved the 'D381 more. 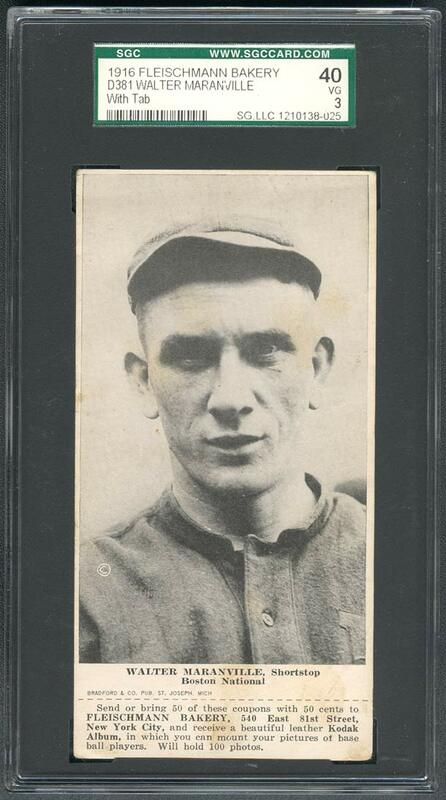 I vowed to keep both until I was able to pick up another Fleischmann Bakery card of another HOFer. The opportunity came up, when I found and purchased this beauty via the Buy/Sell/Trade section of the Net54 site from another collector an board moderator Leon Luckey on 12/25/2005. I sold the D381 Bancroft a month later. Description: These cards were issued by a New York City bakery, presumably given away with the purchase of bread or other goods. 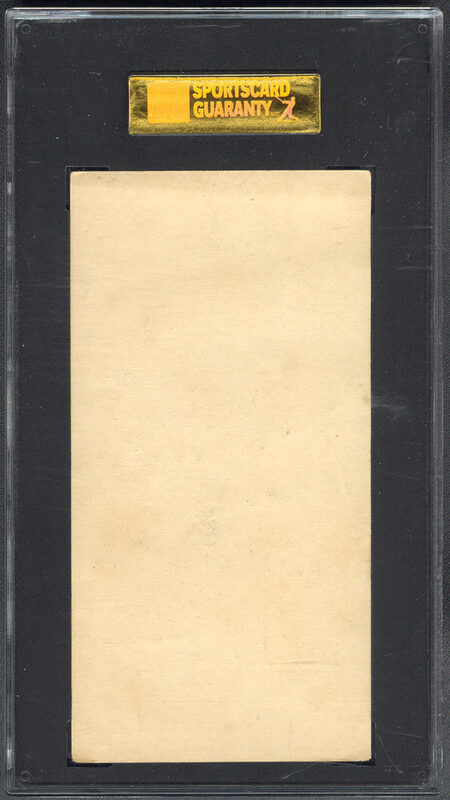 The blank-back cards are printed in black-and-white in a 2-3/4" X 5-3/8" format. Fronts have player photos with the name, team and position in two lines beneath. Most cards have an Underwood & Underwood copyright notice on the picture. At bottom is a coupon which could be redeemed for an album to house the cards. A nearly identical issue were produced contemporarily by Ferguson Bread. 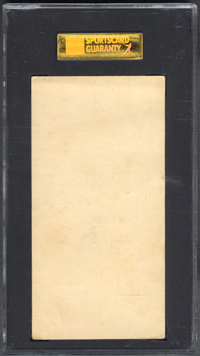 The two can be distinguished by the two-line identification on front of the Fleischmann cards, and one-line identification on the Fergusons.